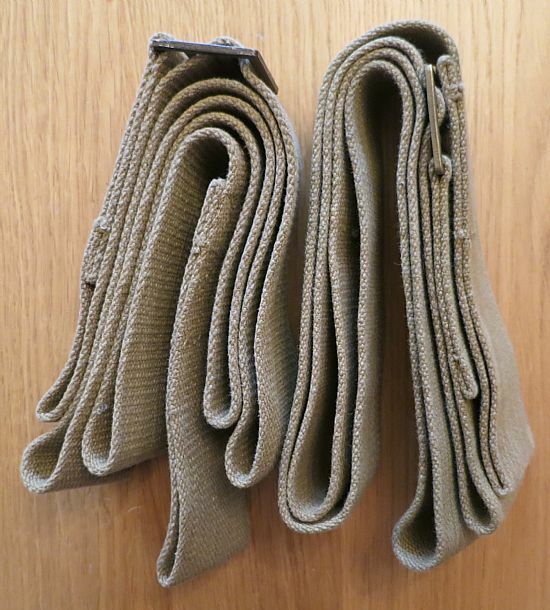 The 1937 Pattern Webbing Equipment was the standard British Army load-carrying equipment issued during WW2. The following photos show it as it was used by the Airborne Medical Services, and replicate the official photographs of the loads carried by RAMC orderlies and medical officers, these can be found on the Personal Loads page; here. 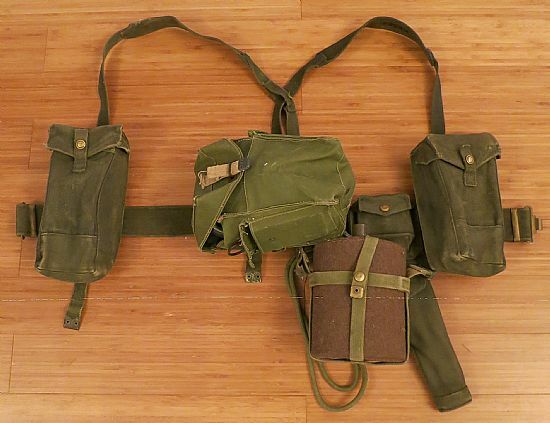 Above: A basic set of webbing, consisting of a belt, cross straps, 2 x basic pouches, pistol holster /lanyard & ammunition pouch, water bottle & cradle and a lightweight respirator. 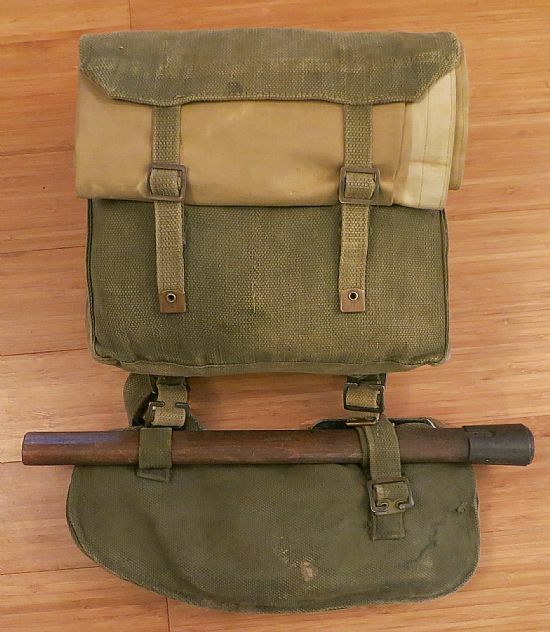 Above: Personal small pack, and entrenching tool suspended below. A typical contents of these pack are shown; here. Above: Small pack marked with a Red Cross, for medical equipment. 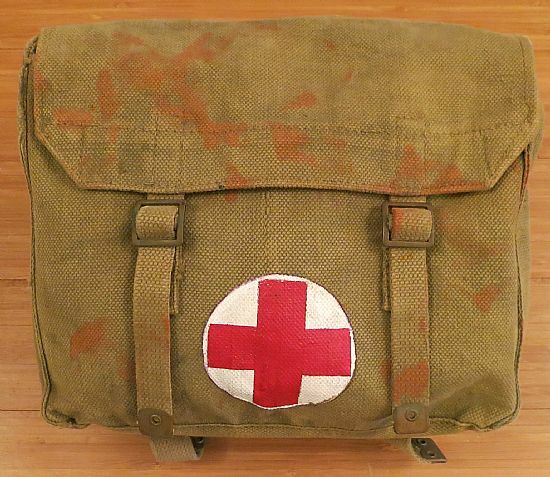 Known officially as the "The First Aid Haversack". 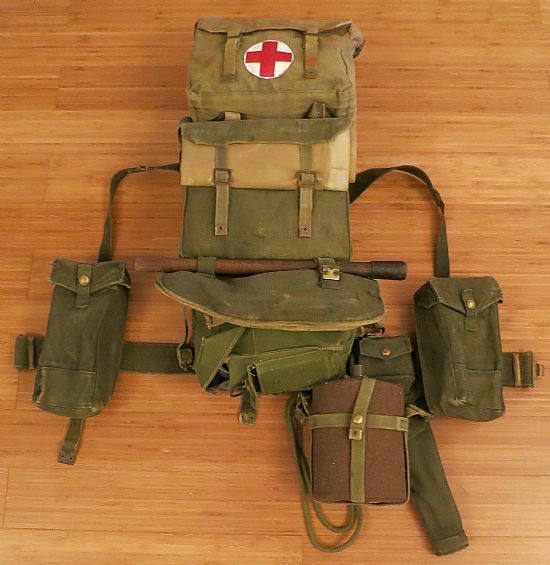 Above: The basic set of webbing, with the addition of the small pack & first aid haversack. 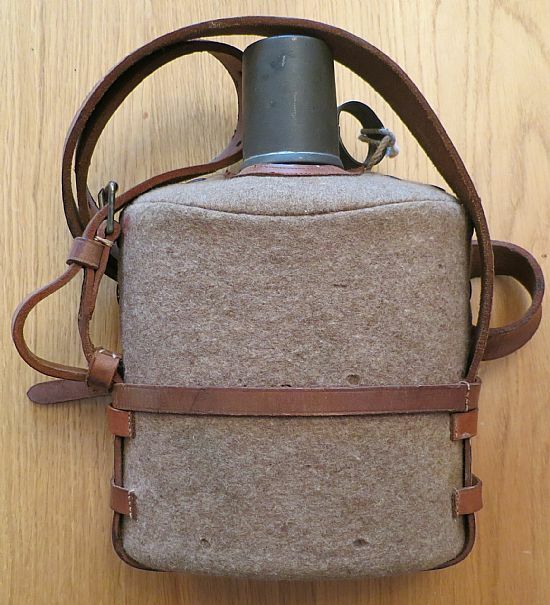 Above: The British Army medical services waterbottle & cradle. 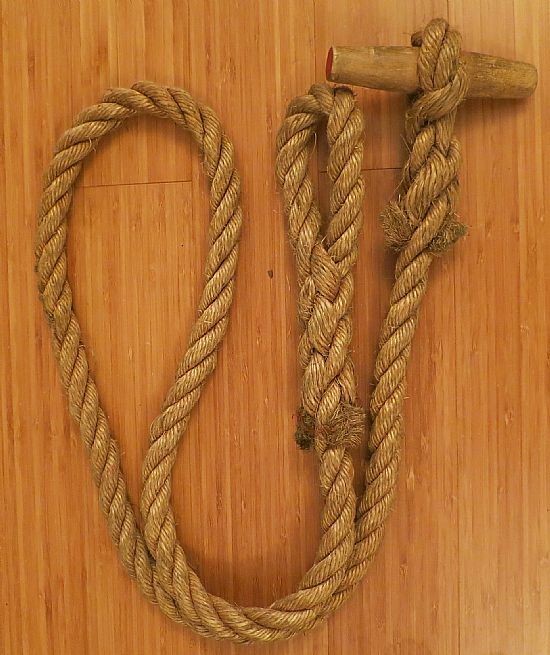 The toggle rope was a part of the standard equipment of British Airborne Forces. It was 6 feet (1.8 m) long, and had a toggle at one end and an eye splice at the other. This enabled them to be fastened together to create an ersatz rope ladder, or for hauling other equipment etc. Above: A pair of stretcher carrying straps. Above: A US Army right-angle torch, often used in the place of the British Orilux torch. 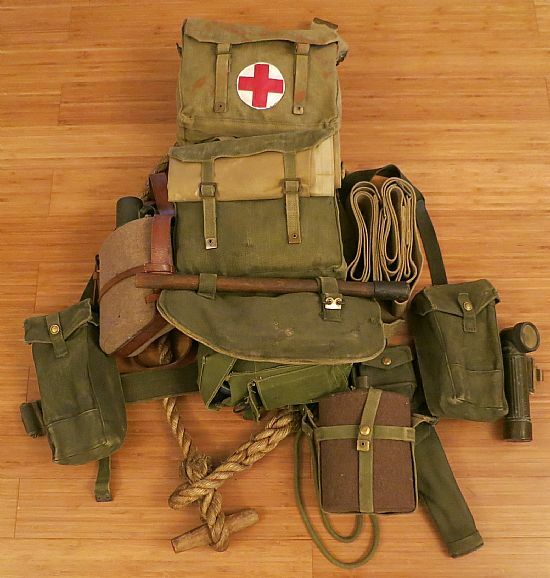 Above: The complete set of personal equipment, as carried by all ranks. Medical Officers would also be issued a set of binoculars and compass (see below). 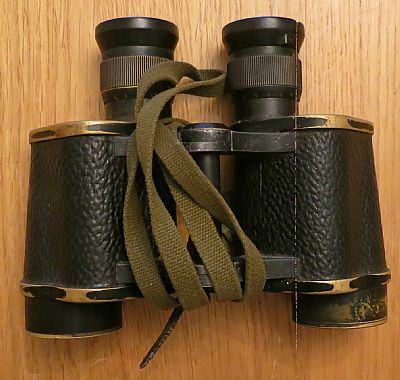 Above: British Army issue binoculars. Above: British Army issue bakerlite compass.